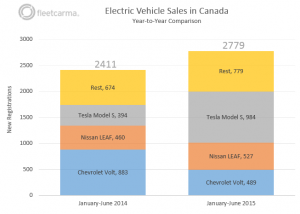 Read the entire article on the FleetCarma blog. 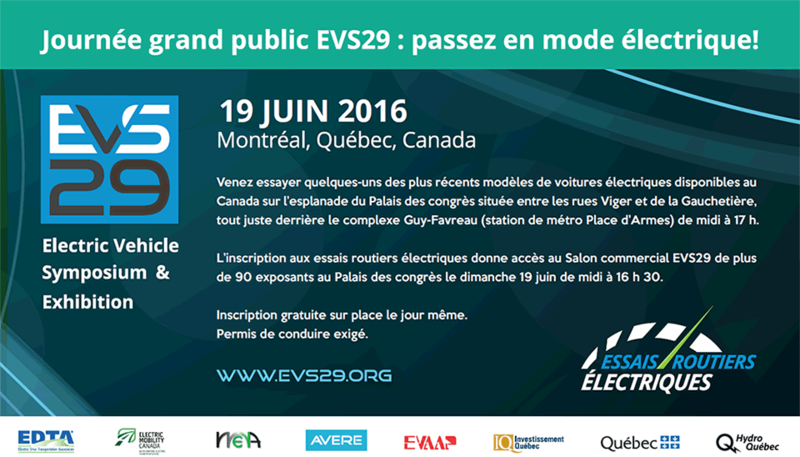 See the Fleet Carma video for a concise summary on EV Sales in Canada. 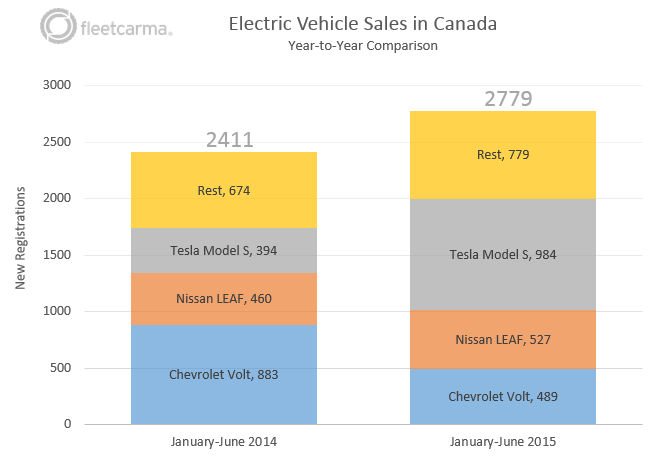 Plug-in vehicles sales are UP for the first half of 2015 compared to 2014. In the first six months of 2014 there were 2,411 new plug-ins registered – the number for 2015 is 2,779. So plug-in sales are up 15% year-over-year.